Wayne Rooney may have hogged all the headlines but the England forward’s milestone merely served to steal the limelight from the most impressive international scoring record to be toppled this week. 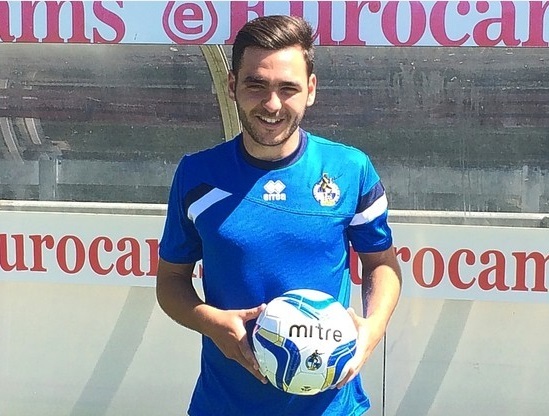 Indeed, Bristol Rovers winger Jake Gosling made history for Gibraltar by becoming the first ever player to score more than one goal for his country by netting the consolation goal in a 8-1 Euro 2016 qualifying defeat against Poland on Monday evening, thus doubling his international tally and taking him out in front as Gibraltar’s all-time leading scorer (with two goals). While the media may have glossed over Gosling’s goal-scoring feats, Bristol Rovers made sure his achievements were marked on his return to the Memorial Ground.